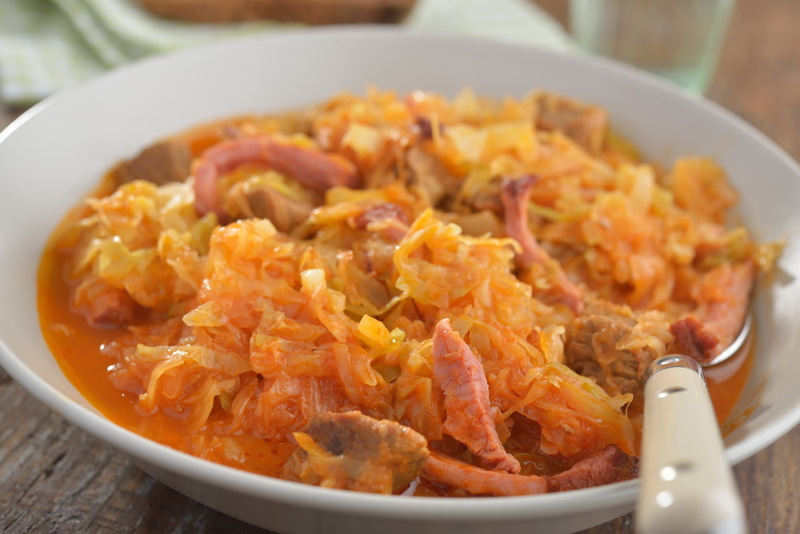 Bigos, the Polish stew of cabbage and meat, has it origins at hunting when at the end hunters cooked a meal of cabbage with pieces of different meat from killed animals in a huge metal pot over the bonfire. Nowadays, still different meat is used, typically pork and beef. Good bigos requires long cooking, the best is to keep a pot with bigos outside in a freezing weather for the night and cook again the next day. These bigos pots are typically very large – for the whole family, for several days.